Mr. Lui Hock Seng is a 80 year old Singaporean cleaner with a special talent: photographer. 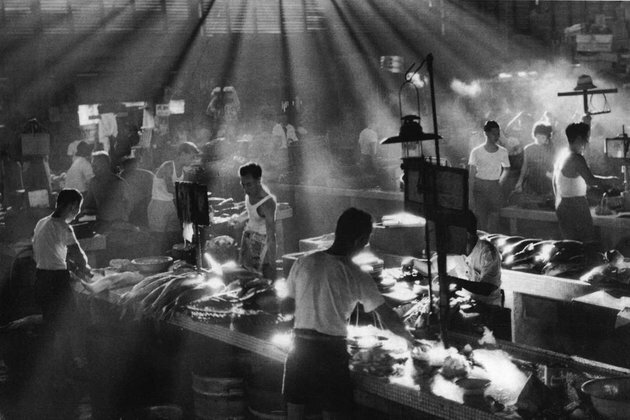 He has been recording life in Singapore with his camera since the early 60’s. A raw artistic talent and a tremendous historical value, and yet, totally unknown to the public! I reached out to Venessa Lee, the author of the article, and to my surprise, she answered. I expressed to her my desire to own a copy of Mr. Lui’s “Clarke Quay’s Teochew Market”… it took a while, but here we are and it is simply gorgeous. Venessa organised the gathering at SPH, Singapore Press Holdings this Thursday. Mr. Lui is a delightful, funny and witty, very modest gentleman and a great artist. 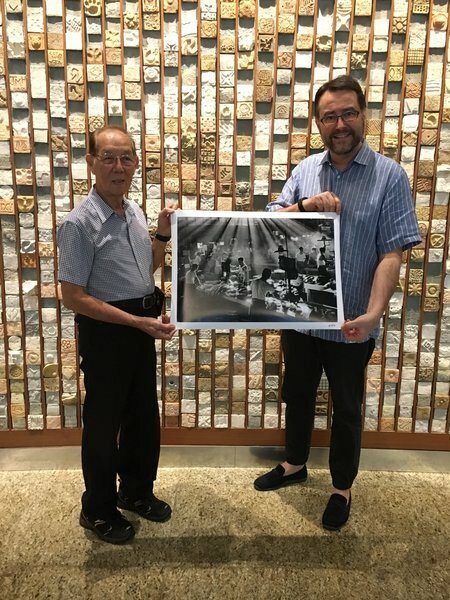 He took the time to share with me some of his shots and I encouraged him to sort his negatives, to digitise them and to think about an exhibition of his work in Singapore. On my side, I pledged to do my best to help him. I am now the proud and unique owner in Singapore and elsewhere in the world of a piece by Lui Hock Seng, the hidden wonderful artist! Mr. Lui is still taking pictures with his brand new Nikon, offered by the Japanese company, and still “looking for the weird and beautiful” as he puts it.